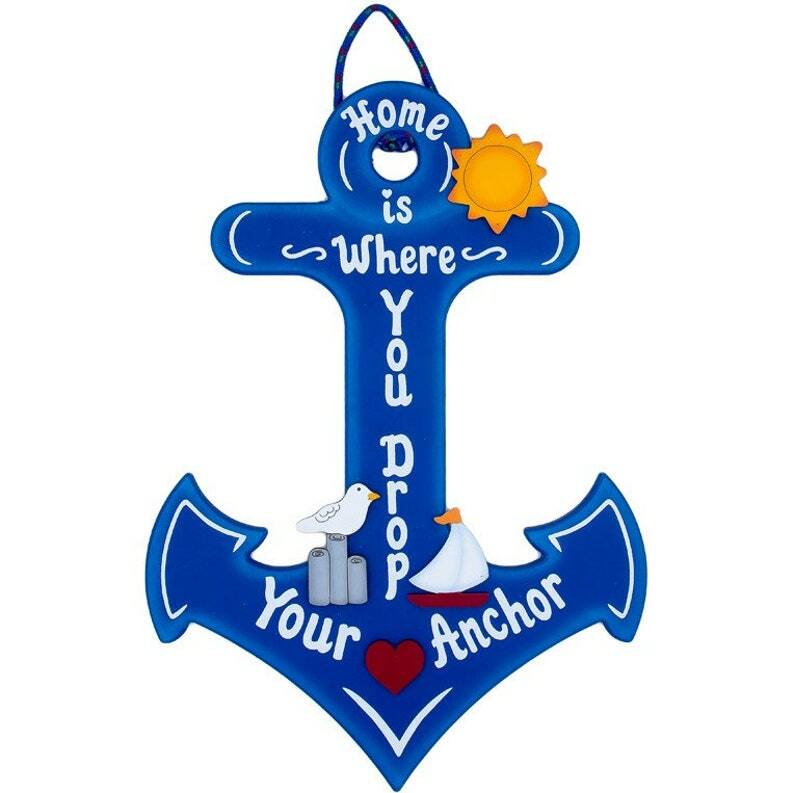 Home is where you drop your anchor decoration is made from wood and painted with blue exterior paint, therefor it may be displayed outdoors. Edges of the anchor are shaded light blue, which creates a unique finish. Seagull on post, sunshine and sail boat are each separate pieces of wood that are painted then attached to the anchor decoration.